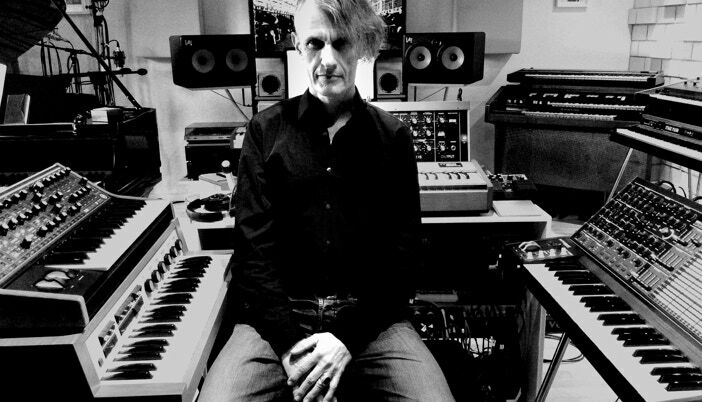 A musical storyteller, who became known for his unusual combinations of Electronica and Orchestra, the award-winning composer and multi-instrumentalist Gary Marlowe works primarily for films. Among his most recent recognitions are a nomination for Best Music at the 6th German Documentary Film Music Awards 2018, and a nomination for the renowned Grimme Preis 2019. Marlowe began playing piano at four, shared the stage with Iggy Pop and The Ramones with his band later, became a No.1 hit songwriter, and is a producer for several top acts. Following studies in Ethnomusicology in Berlin, he studied Composition for Film in Siena, Italy, with Oscar winners Luis Bacalov (“The Postman”) and Nicola Piovani (“Life is beautiful”), winning the Emma Contestabile Award in his final year. More awards include five nominations at the Jerry Goldsmith Awards, nominations at the Hollywood Music in Media Awards (2012), and the Max Ophüls Preis, for Best Film Music (2017). In addition to his work as film composer and producer, Gary Marlowe develops his own music installations, aural frames, in co-operation with visual artists (such as Richard Nonas and Gianni Moretti). International exhibitions include the Biennale di Venezia. In 2013, Gary Marlowe was chosen by the World Soundtrack Academy, to compose and perform a commissioned piece with The Brussels Philharmonic Orchestra, on the occasion of the 40th anniversary of the Ghent Film Festival (alongside Angelo Badalamenti, Mychael Danna, James Newton Howard, Clint Mansell, Dario Marianelli, Gustavo Santaolalla and Howard Shore). In 2018, Gary Marlowe officially received the title “Steinway Artist”. Marlowe is lecturing as a docent in various academies, such as the SAE School of Audio Engineering. He is a Berlinale Talent Alumnus, a member of the World Soundtrack Academy, and the European Film Academy. gary marlowe. film scores. music. cinema. composer. producer. awards. gold platinum records. synthesizer. orchestra. electronics.